This amazing stitch opens up many possibilities. Blankets, afghans, lapghans, beanies or baby palymats will look georgeus in this texture. Have you used it before? If you haven’t worked the basketweave stitch yet, don’t worry. It is just doble crochets, basically set into an uncommon spot in your pattern. 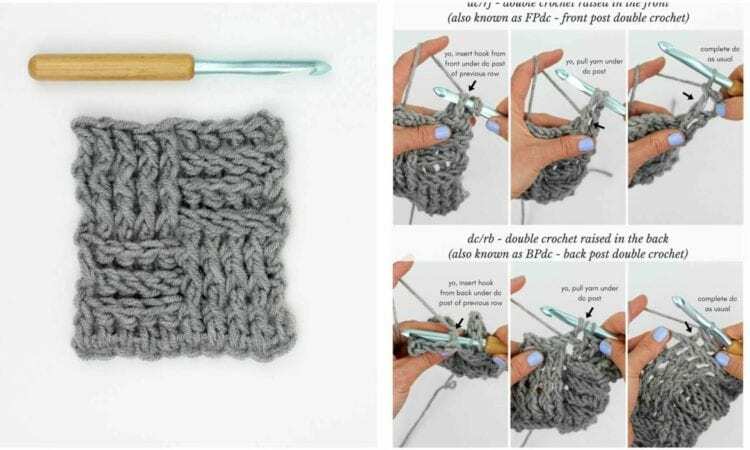 It will be very easy with the video tutorial and written pattern. So, don’t be scared, and let’s get started! For more free designs every day follow us on Facebook. The link to the free pattern and video tutorial is below. The Basket Weave Stitch – Free Crochet Pattern and Video Tutorial is here. Don’t forget to Like us on Facebook. Share your ideas and your work on our Facebook group.